Imagine you are a high school basketball player or an adult who plays recreational soccer. You land from a jump awkwardly and feel your knee buckle. It swells up immediately and you struggle to bear any weight on that leg. After a trip to see an orthopaedic surgeon, you learn that you tore your ACL. Now you face surgery, 6-12 months of physical therapy, and a long road back to sports. All of those scenarios are frightening, but also imagine the possibility that after all of that work after surgery, you could tear the graft or tear the ACL in your other knee when you return to play. Is that a real possibility? How likely is it? And what increases an athlete’s chances of that outcome? 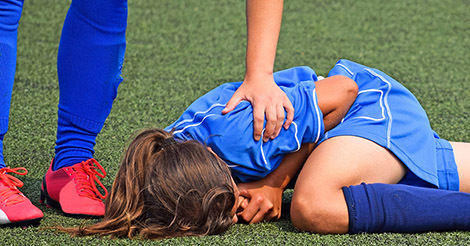 A study presented last month at the American Orthopaedic Society for Sports Medicine’s Annual Meeting in Seattle, Washington examines the incidence of anterior cruciate ligament reinjury and the risk factors involved. Given that surgeons perform approximately 200,000 ACL reconstructions each year in the United States, a better understanding of these risk factors might have us prevent some of these injuries. Authors from the Multicenter Orthopaedic Outcomes Network (MOON) consortium collected data from almost 2700 patients in the MOON database who underwent ACL reconstructions between 2002 and 2008. They obtained follow up information for over 80% of the patients more than two years after the surgery. They analyzed this data to identify the incidence of reinjury to the ACL graft or a tear of patient’s contralateral ACL. At two-year follow up, 4.3% of the patients had torn the surgical graft in the injured knee, while 3.6% of them had torn the contralateral ACL. Among graft options for the initial ACL reconstruction, the odds of a retear of the graft did not differ between patellar tendon autograft and hamstring autograft. On the other hand, patients who received an allograft were 4.69 times as likely to suffer a second injury compared to the patellar tendon autograft patients. Younger age and higher activity levels at the time of the initial ACL reconstruction were predictors of graft reinjury as well as injury to the contralateral normal ACL. The lead author of the study, Christopher C. Kaeding, MD of the Ohio State University, summarized the MOON group’s findings. 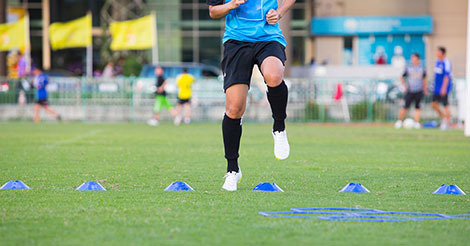 “The study highlights that younger age, higher activity levels at time of injury and what type of graft used (allograft) may increase risk of same side ACL injury within two years. With individuals having higher activity levels and lower age re-tears on the opposite leg were more prominent,” he noted. What can athletes and their parents learn from this study? First, it seems worthwhile to have a thorough discussion with the orthopaedic surgeon about the options for the graft to be used in the ACL reconstruction. Discuss risks and benefits of patellar tendon and hamstring autograft, and at least consider using autografts instead of allografts if the patient is young and very active in sports or athletic endeavors. Next, discuss with the orthopaedic surgeon and the physical therapist after surgery about exercise programs that can be learned and performed regularly to minimize the risk of reinjury. While no exercises can guarantee an athlete that she will not suffer an injury to the graft or to the opposite knee’s ACL, these programs might decrease that risk somewhat. Kaeding CC, Pedroza AD, Reinke EK, Huston LJ. ACL Injury after ACL Reconstruction: Analysis of 2695 Primary ACL Reconstructions for Risk Factors. Presented at the 2014 American Orthopaedic Society for Sports Medicine’s (AOSSM) Annual Meeting.